← 29 October 2017 Making Cannabutter. 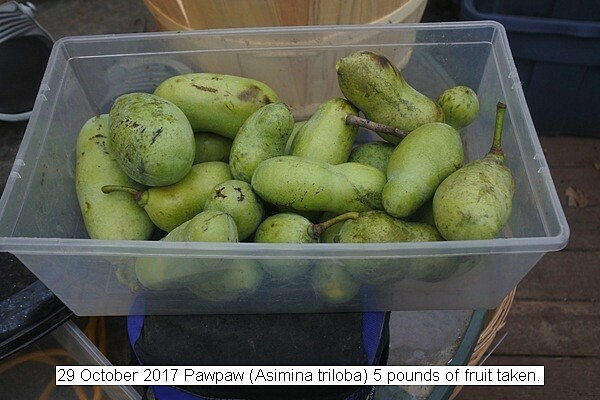 This entry was posted in Uncategorized and tagged 29 October 2017 Pawpaw Asimina triloba harvest, Asimina triloba, Pawpaw Asimina triloba harvest. Bookmark the permalink.